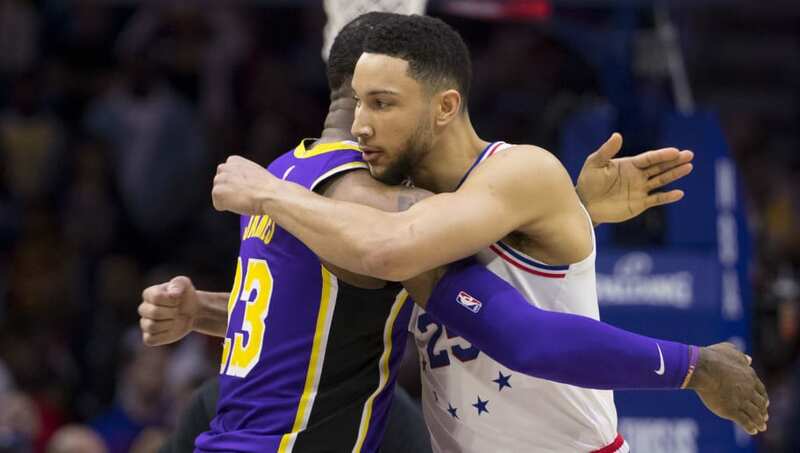 According to ​NBA insider Shams Charania, the league is looking into whether or not any contact between Ben Simmons and the Los Angeles Lakers occurred following Magic Johnson's comments. Prior to Sunday's game between the ​76ers and Lakers, Magic revealed that the 6-10 point guard was in search of a mentor. Johnson said that he'd love to share some "big guard secrets" with Simmons, as long as the league signs off on it. While Magic and Simmons certainly have some traits in common, with their similar builds and unique passing skill-sets, Magic was always a pure point guard at every level, unlike Simmons who is more of a natural forward or point-forward. Despite not having much of an offensive game outside of the paint, Simmons is still one of the best young players in the NBA, being selected as an Eastern Conference ​All-Star reserve this season. This will definitely be something to watch as Sixers GM Elton Brand reportedly put the kibosh on a possible Magic-Simmons link-up over a month ago. It will be interesting to see if the league finds any wrongdoing on the Lakers side in the coming weeks. For LA, it appears Adam Silver and Co. are keeping a close eye on their off-the-court activities regarding All-Star talents.